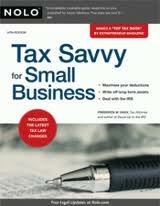 The 13th edition of Tax Savvy for Small Business is completely updated and provides the latest tax breaks, rules, forms and publications. You'll also find a list of the top 25 business deductions -- the best deductions to take and how to claim them, trouble-free. This course helped as a reference to tx matters for the small business owner. Good cpe course. Materias arrived in 1 day.